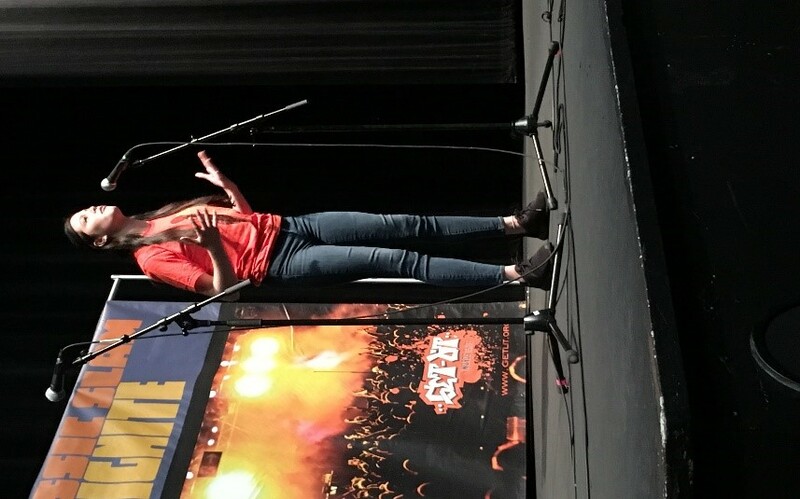 At the recent “Get Lit – Words Ignite” Classic Slam poetry competition, Learn4Life (L4L) students throughout California demonstrated that they have the knowledge and eloquence to Shed Light and Motivate (SLAM) their communities to take action. Hailed as the world’s largest youth poetry slam, the event took place April 26-28th in downtown Los Angeles and included seven L4L squads and 36 total teams. Get Lit – Words Ignite is an organization that uses poetry to “increase literary, empower youth and inspire communities.” Students in the program choose a classic poem from the likes of Maya Angelou, Langston Hughes, William Butler Yeats, W.H Auden, Tupac Shakur and Kendrick Lamar to study and memorize. They then write an original spoken word piece and ultimately perform both their classic and response pieces in tandem. According to the company’s website, the Trauma-Informed “Get Lit” curriculum is utilized in over 100 schools in Southern California, instructed by English and Drama teachers. One L4L team advanced past the quarterfinals and reached the semi-finals for the second time in many years. “Poetry for me was a really good way to vent. It was one of the most impactful things I’ve ever done in my life and I could still see myself doing it in the future,” said poet and student Anabelle Reyes. L4L offers spoken word poetry instruction as both an elective and Core English offering. It is part of the Experiential Programs department, which provides inquiry-based, hands-on learning opportunities for students and promotes prosocial behavior and emotional catharsis. Many L4L students qualified for the Classic Slam via regional slams held April 18-20 in Fresno, Los Angeles, and San Diego. For more information on the spoken word program at L4L, please contact Director of Curriculum & Instruction Summer Peterson at speterson@learn4life.org and Instructional Specialist Boris Tsalyuk at btsalyuk@learn4life.org. “In your darkest moments when you feel like you got no more hope, got nowhere to run, run to a notebook…. pour your feelings out onto paper and you can do incredible things,” said poet and student Cinny Bays.